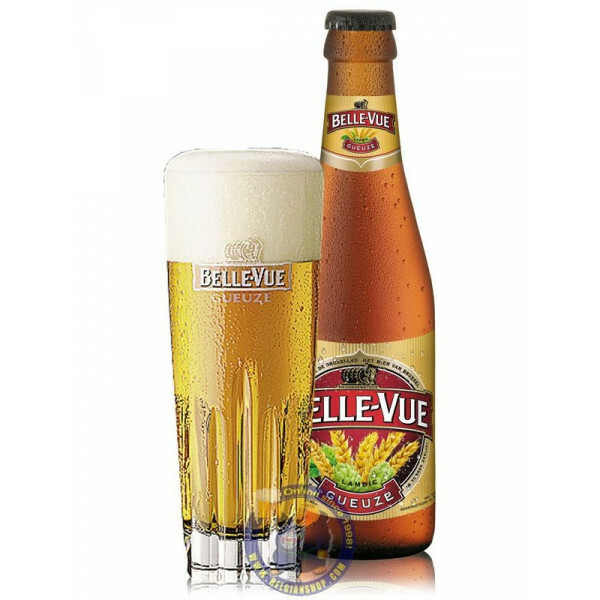 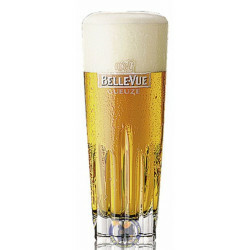 The taste of the Belle-Vue gueuze, which is called the champagne amongst beers, is a balance between sweet, sour and bitter. 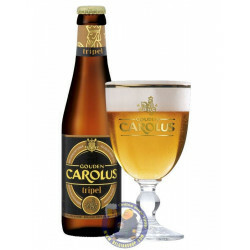 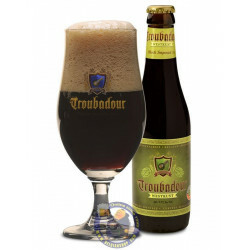 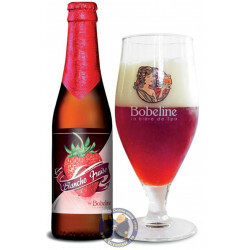 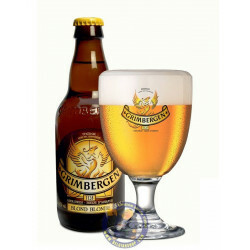 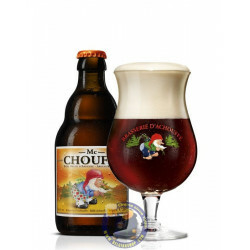 This beer is actually a combination of young and old lambic, which starts a new fermentation and contains 5.5% of alcohol. 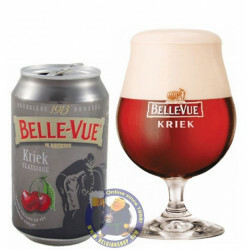 Belle-vue Gueuze is one of the most famous Lambics. 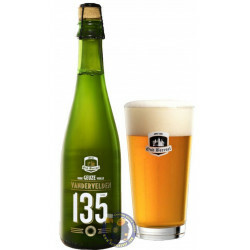 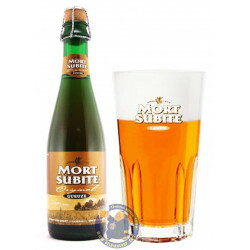 It is blend of older and young Lambics-5 different vintages are used and balanced to achieve the final outstanding flavor and sparkle before the beer is bottled, using methods identical to those of the vintners of Champagne. 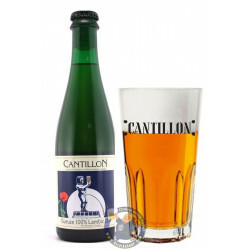 The bottles will remain racked and undisturbed for additional fermentation for a further 6 to 18 months before coming to full maturity.